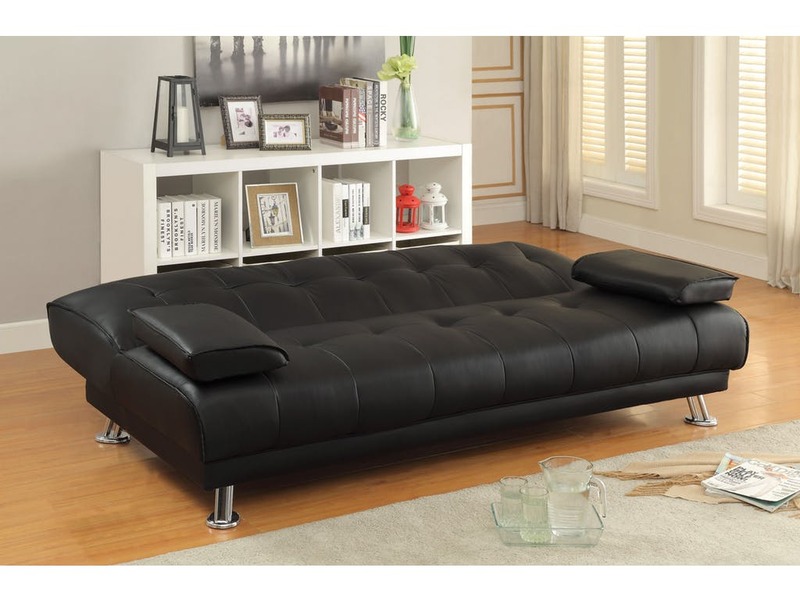 This stylish black leatherette sofa bed with removable arm rests is perfect for living room or spare bedroom. 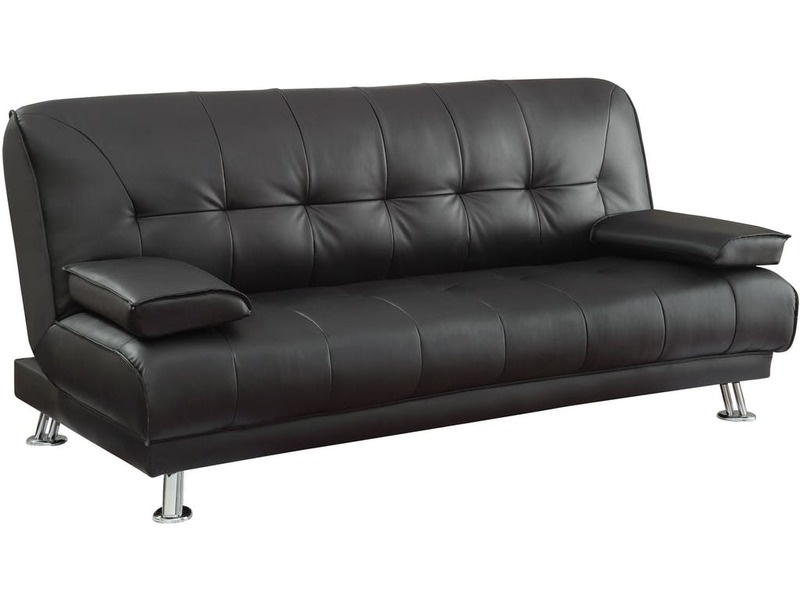 Featuring kiln dried solid wood frame, sinuous spring back with webbing, comfy foam seating, and chrome legs. 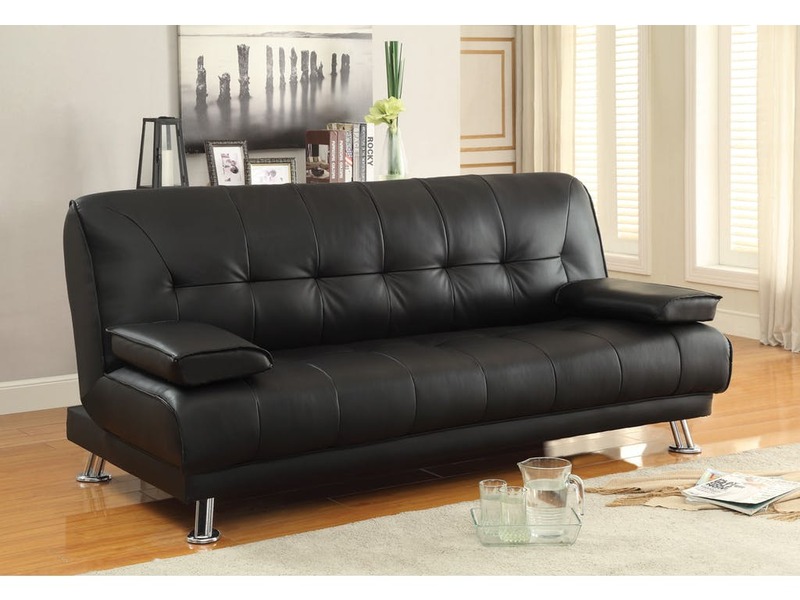 This collection is available in black leatherette, tan microfiber, and brown leatherette.